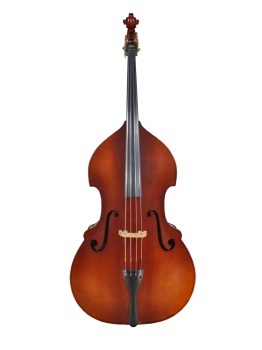 Another popular bass from the Christopher line of basses is their Concert model which offers the same excellent structural and tonal characteristics of the Academy. However, the Concert features better materials such as flamed maple and improved varnish. Adjustment includes bridge adjusters, high quality endpin, and Helicore Orchestral strings.